There are many satellite decoders that you can purchase from market but among those series that can support HD (High Definition) with PVR (Personal Video Recorder) features, Openbox/Skybox are considered affordable as compared to Dreambox HD series such as DM800. Besides, some users may able to find Orton HD X403p at comparable price as a good alternative but if you are not familiar with its setup for the first time, setting up card sharing account could be a hassle as compared to Openbox/Skybox or Dreambox. If you are looking for guidance, here are some simple steps that you can follow. 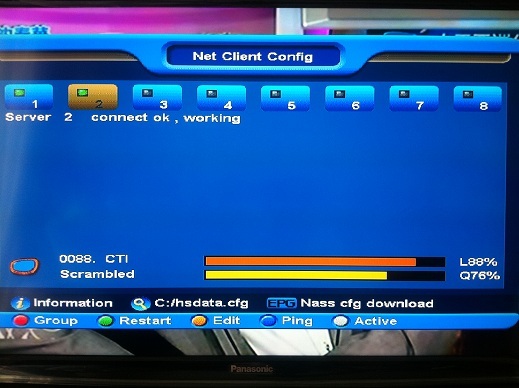 Assuming that you already have the dish installed in right position and your card sharing account ready, proceed to below steps by using remote control and observe on the TV screen. 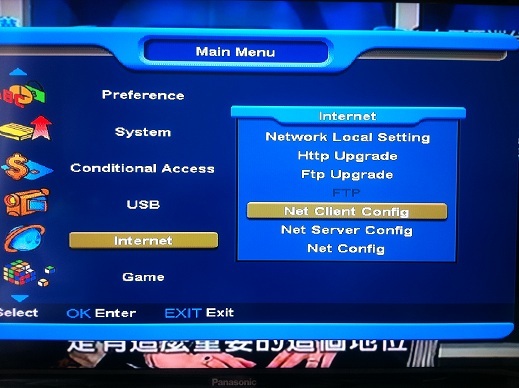 First, go to Menu -> Internet -> Net Client Config. Under Net Client Config, go to Edit. Then type in respective Server Name, Service Port, User Name, Password and etc. Press Red button to store/ save the settings. Repeat Step 2 to 4 if you have more than one server account to connect the card sharing. 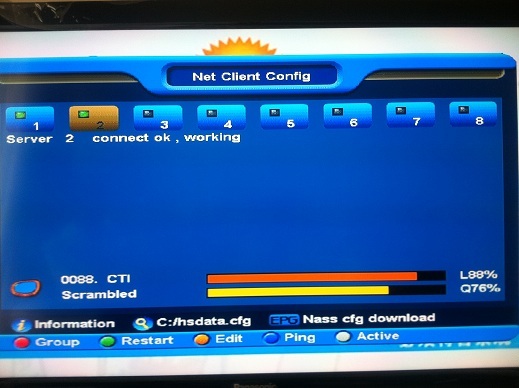 Once completed, restart the Orton HD X403p and you should be able to view the channels, with assumption that the server, internet connection and dish positioning are set correctly.